There are few Fender products with as much “indie cred” as the Fender Blender. Once thought of as an overly harsh fuzz pedal, the Blender, thanks to players like Billy Corgan of Smashing Pumpkins and Kevin Shields of My Bloody Valentine, is now a coveted, and rare, vintage pedal. Original Blender pedals routinely sell on auction sites for between $300-400. 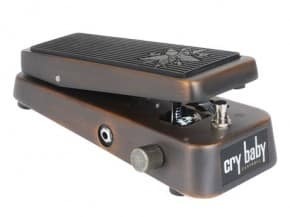 Like Fender have done with some of their guitars and amps, they have reissued this pedal to satisfy the demand that has surged past the supply on the vintage market. The beauty of this pedal is that it does not sound like anything else on the market. It has a totally unique voice. This is a pedal made for players who want to create unique instead of copy. Wah Control—Tilt the pedal back and forth. Fuzz Control—Rotate the pedal left and right. Effects Order—Switches the order of the effects in the signal path to provide two distinct sounds. Experiment! Fuzz Volume—Adjusts the volume level of the Fuzz effect so that you can match the volume level of your guitar when Fuzz is turned off. Also try setting it for a Fuzz effect volume boost! Fuzz Switch—Turns the Fuzz effect on-off. Wah—Turns the Wah effect on-off. Input Jack—Plug your guitar (or other audio source) in here. Un-plug the input plug from this jack to turn off the device and save power (very important) when not in use. Output Jack—Connect to the input of your amplifier (or other audio device). 9V Battery—Open the battery compartment on the bottom of the unit by removing the thumb screw. Use alkaline batteries. DC Input Jack—Plug in a AC- 9V DC adaptor (Not Included, see specifications) into this jack to eliminate the need for batteries. When the word got out that we are reviewing Electro-Harmonix’s reissue of their Micro Synthesizer, reactions were decidedly mixed. Some exclaimed, “It’s about time they reissued it!” Others muttered quietly, “Yeah, I had one once, but I couldn’t tell if it was working right.” Love or confusion, indeed. Perhaps some clarity will emerge by first clearing up the “synthesizer” misnomer. Unlike other guitar synthesizers, the Micro Synth is really a pedalboard’s worth of stomp boxes rolled into one, allowing your guitar (or whatever else you plug into it) to emulate the phat tones of vintage Seventies synth. Imagine feeding your guitar to three fuzzboxes, an automatic volume pedal and an automatic wah, and you’ll begin to get the picture. 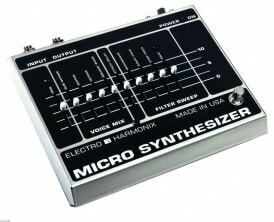 The Micro Synthesizer is housed in a sheet-metal enclosure measuring 8 x 6 x 2 inches. A trim pot on the back of the pedal sets the unit’s sensitivity to either single-coil or humbucker pickups, but all the important controls are in the form of sliders on the unit’s face. The controls are in two groups, voice and filter sweep, with a couple of sliders to control the note attack, and entry of the filter characteristics. In brief, the voice section consists of three forms of distortion and a clean tone. 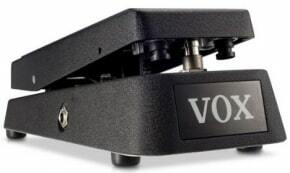 The suboctave voice adds a tone one octave below the guitar’s pitch, sounding very much like the Boss Octave pedal. The guitar voice is a dry signal, somewhat colored by the Micro Synth’s preamp circuit, and the only voice that will tolerate chords without generating wickedly erratic distortion. The octave voice could go head to head with Roger Mayer’s Octavia pedal, and the square wave voice is a fuzz box tone of Sixties vintage, full of crackle and fizz. These four voices are processed in parallel, allowing you to mix their various idiosyncrasies as you please. Is that octave tone a little too bright? Mix a little suboctave in. Is the guitar voice in need of just a touch of background static? Tweak that square wave to taste. Whatever odd little swarm of buzzes you raise in the voice portion can be shaped with the attack delay control. 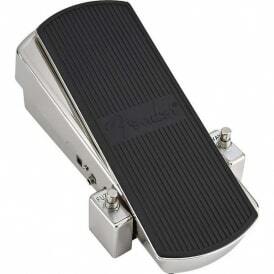 This functions like an automatic volume swell, sensing your pick attack and dropping the output accordingly. This allows you to emulate everything from subtle bowed effects to those backwards tape solos so overdone for about six months during 1969. The filter sweep section consists of four controls: resonance, start frequency, stop frequency and rate. Think of the start and stop frequencies as vowel emulators and the resonance control as an added boost. The rate control determines the velocity at which the filter sweeps from the start frequency to the stop frequency. Lower settings create percussive quacks and grunts while higher settings summon vocalesque “awwww” and “mewhhh” sounds. 1) Technique is critical. Pick too soft and notes disappear; too hard and they blat like a foghorn. 2) As noted above, you can only play single-note lines on most settings. Two or more notes will either screech or disappear. 3) Tracking is uneven. What works on the lower strings won’t work higher up, and vice versa. 4) The background noise and leakage between voices is very high. Add this together, and you might question the sanity of anyone who owns a Micro Synth. And yet, the variety of distortions (including deliberately overdriving the preamp) would please any connoisseur of Edge City tone. The filtering would sit well in a hip-hop or techno mix, and the background noise is just the kind of thing Beck would pump up in a scratch break. 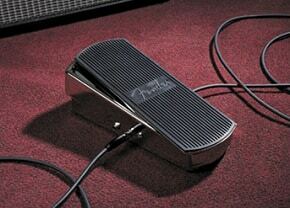 And for a couple hundred bucks for a used one, it’s cheaper than the equivalent collection of individual stomp boxes. One wishes that Electro-Harmonix would have upgraded the Micro Synth to current technical and construction standards. As it is, you’ll either love it for its quirky low-tech peculiarities or avoid it for, uh, its quirky low-tech peculiarities.